This is the picture of Cavendish Banana. People like to eat them riped because they are sweet and contain nutritious ingredients. The banana is available in traditional market and supermarket. Sometimes I see villagers or farmers hang them along the roadside to attract the attention of car and motorcycle drivers to buy the fruits. 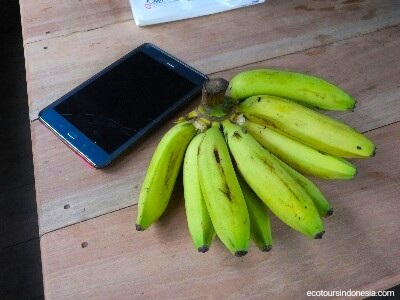 A bunch of this banana costs around 20,000 rupiahs.